You know what bothers me? For six years Republicans in Congress have blocked the appointment of a director for the Bureau of Alcohol, Tobacco and Firearms–an agency which they’ve also woefully under-funded. Republicans in Congress have also opposed any legislation that would make firearms trafficking a federal crime. In fact, Republicans have opposed anything even remotely resembling reasonable restrictions on the sale or ownership of firearms. Those things bother me. You know what else bothers me? In Arizona if you’re 18 and can pass an instant criminal background check, you can buy as many guns as you want. Five, ten, twenty guns–no problem. No permit required, no waiting period–lay down the cash and you can walk out of a gun shop with a couple dozen firearms for your own personal use. You can then, ten minutes later, change your mind. You can decide you don’t really need twenty firearms, and you can walk down the street and sell those guns to a stranger. Unless the government can prove that at the moment you made the purchase you intended to sell those guns to a person who couldn’t legally buy one for himself, it’s all perfectly legal. You know what else bothers me? Any attempt to tighten those Arizona laws have been blocked by Republicans. And this bothers me: Republicans in Congress are accusing the Obama administration of deliberately allowing firearms purchased in Arizona to be ‘walked’ over the Mexican border and sold to drug cartels in order to create a crisis that would allow them to enact stricter gun control laws. In other words, Republicans have created the conditions that make it almost impossible to prevent guns from being sold to Mexican drug cartels and are now claiming there’s something sinister in the inability of the Obama administration to prevent guns from being sold to Mexican drug cartels. Here’s something else that bothers me. 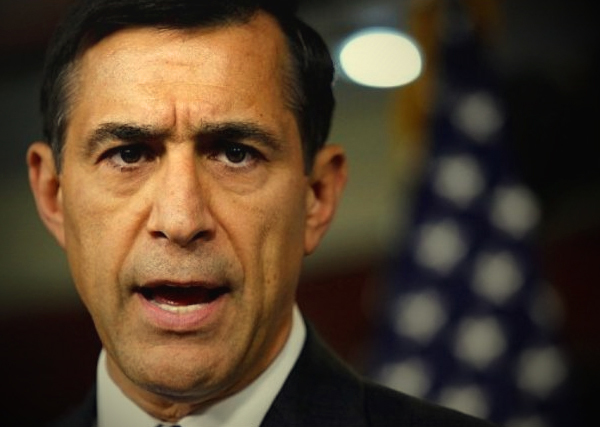 Darrell Issa–the Republican Senator who is leading the so-called Fast and Furious investigation–was himself arrested once for possessing a concealed, loaded, unregistered handgun. And you know what bothers me most of all? The news media refuse to take the time to actually learn the facts of the situation. They simply repeat the accusations, the half-truths and the outright lies made by Issa and other opponents of the Obama administration, and call it reporting. This is just fucked up. Completely, totally, beyond all recognition. This entry was posted in guns, politics, stuff that pisses me off by greg. Bookmark the permalink.